There is, as ever, much discussion in the world of ITSM about the importance of adding value to the organizations we support – and quite right too! Unfortunately too many IT professionals still seem to believe that value is all about the products and technologies; but the lasting perception of the value (and professionalism ) of ITSM is created by those who interact with the customers and the organization, the messages they give and their responsiveness to and understanding of the organization’s needs. 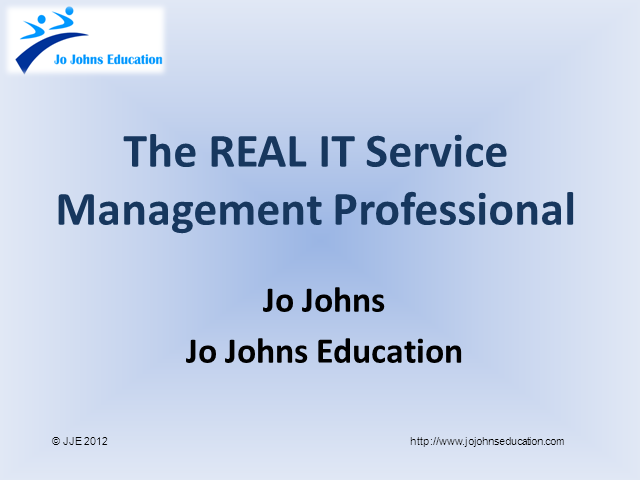 In the webinar, Jo Johns describes how to recognize a genuine ITSM professional, and highlights some of the key traits, attitudes and approaches that they possess. Jo will also provide some valuable tips and hints on how you too can acquire many of these or improve on what you already have.